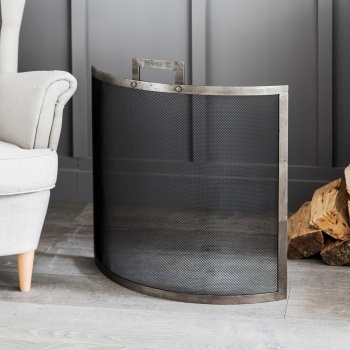 Perfect for fireplaces of all sizes, the Lodge Firescreen will protect the room from sparks and cinders. 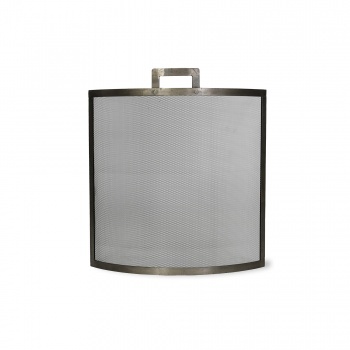 Crafted in Steel, it comes with an antique pewter finish which gives the screen a soft rustic silver appearance. 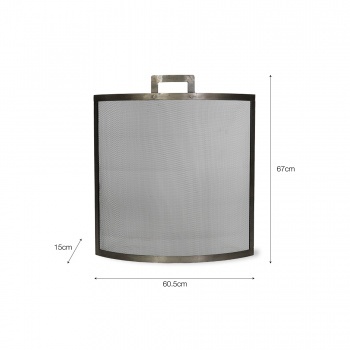 The mesh centre will ensure the flames can be seen whilst stopping flying ash from escaping. 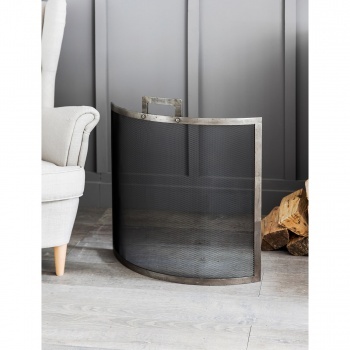 A contemporary update on a classic shape and available in a choice of sizes, it will sit neatly in the home, and is easy to move with the square handle. 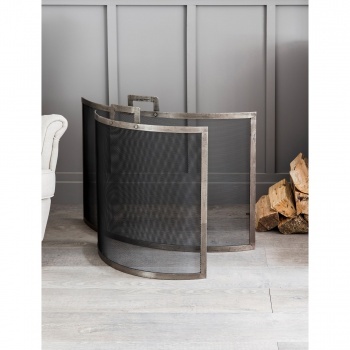 The gradual curved shaping is streamlined and will protect the fire at all angles. 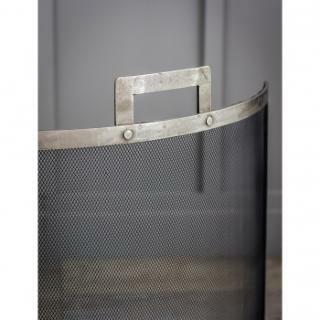 Due to the products handmade manufacture, welding marks will be visible on the frame, yet adds to the industrial aesthetic.